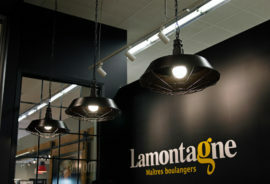 Boulangerie Lamontagne started out with an enormous, empty shop, no brand and a tight budget. 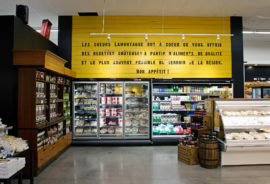 They decided to partner with Chagall to design, from A to Z, a bakery business that would awaken their customers’ senses. 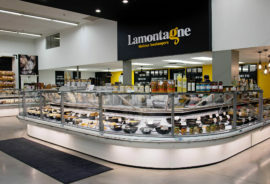 By partnering with Chagall, Boulangerie Lamontagne managed to increase its turnover by an impressive 70%. 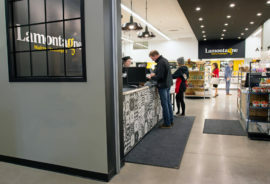 The owners were also thrilled to see that the number of products purchased by clients significantly increased. 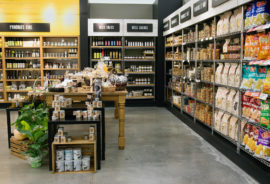 While the owners knew how to make the best bread in town, they felt clueless when it came to furnishing such a large space on such a small budget. 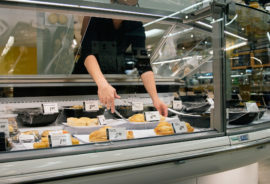 They were particularly concerned that customers would find their massive shop uninviting. 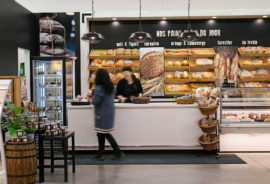 Space wasn’t the only issue: with many shops grouped together under one roof, the bakery had to make sure that its appearance and layout harmonized with surrounding stores. 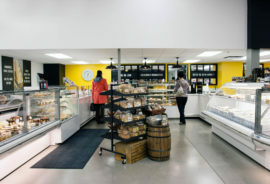 The bakery’s bread wall also needed to be big enough to store large quantities of bread during busy weekends. 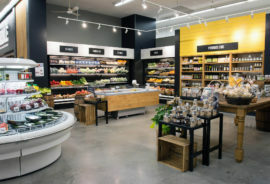 That being said, the owners were concerned that their counter would look empty on quieter days. 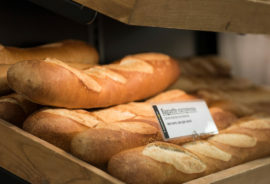 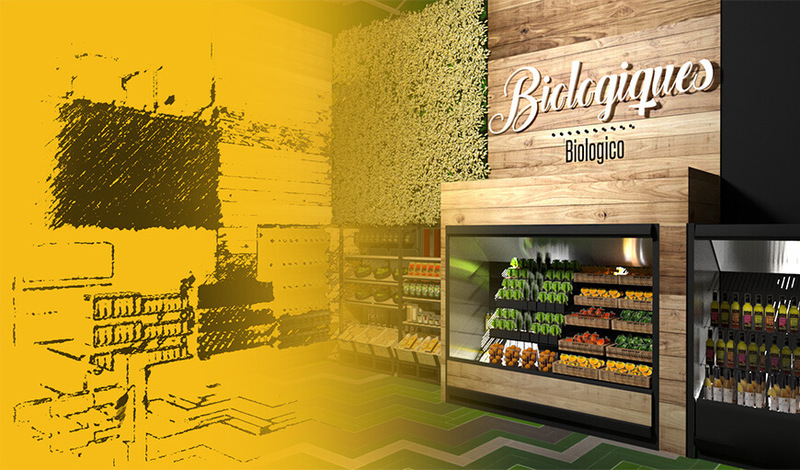 Chagall specially created a flexible bread wall that could be modified to prevent shelves from looking empty on quiet days. 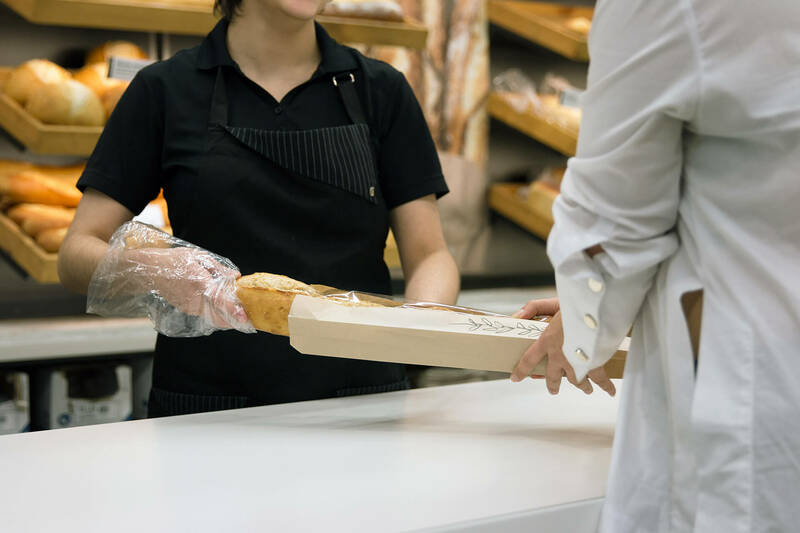 Thanks to this clever merchandising tool, the bakery’s owners knew they could give its customers that fuzzy feeling they were looking for, every day of the week.